I opted for the library yesterday, since it would count as both exercise (walking there and back) and work at the same time. I tried to treat myself to a movie after, but the times didn’t work. So today, I am going to BOTH Enchanted and I Am Legend. Meanwhile, here are my two favorite shots from yesterday. 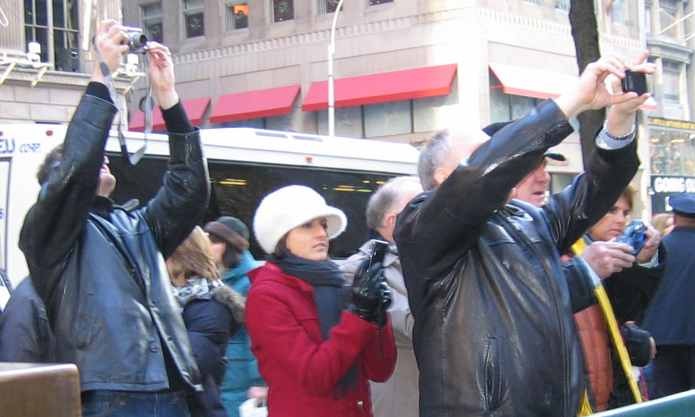 The first is of people taking pictures of the Rockefeller Center tree. 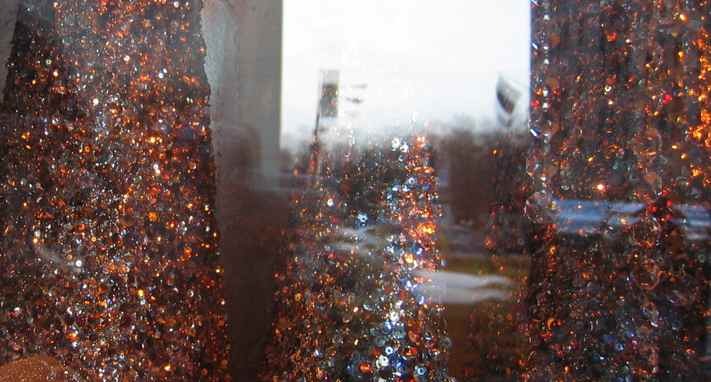 This is a close-up of one of the windows at Tiffany’s. Clearly I love things that glitter. I dream of one day coming to New York at Christmas 🙂 Thanks for the little glimpse of what I’m missing! You’re welcome! I’m thrilled that someone likes my snapshots of the city! I would love to see my photos of Christmas in NYC!!! Sorry I meant MORE not my – Ooops!